We import and supply optimum quality of copier papers that are used for applications in dual-sided laser, high speed offset, letter press printing, writing and high speed copying. Our copier papers are designed to give a crisper image and are designed for use in ink jet or laser printers. 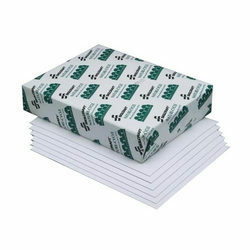 Our high smooth copier papers are available in various sizes like A3, A4, Letter, Legal, Ledger, etc. Our technician offer service to plan the drydocking jobs and carry out complete maintenance, calibration, testing and servicing of various automation equipment at lumpsum rates. Dry Dock size length 75meters and width 15 meters. We undertake Drydock of mid-size and small vessels. 2) Epoxy painting using airless spray. We offer dry docking/ Repairs at Kandla Port for repairs of all types of MBCs, Tugs, Barges and Offshore Vessels. Kandla Port has a dry dock facility for repairs & maintenance of vessels up-to 2700 DWT. The dimension of steel floating dry dock is – Length 95.00 Mtrs/ Width 20.00 Mtrs/ Around 7.00 Mtrs. We specialize in various marine technologies. Deepsea Navigation has carried out extensive research in the docking, voyage repairs & conversion projects and have narrowed down the areas where there are significant wastage and over expenses for reasons which with our expertise can be zeroed down and eliminated. - Dry Dock 1: 125 m x 22.5 m X 5.6 m.
- Fitted with Computerized Synchronous Ship lift Platform, of 4500 Tones Lifting Capacity. - Dry Dock 2: 155 m x 30 m x 7.5 m.
- Graving Dry dock served by 80 T Goliath Crane span 50 m, height 35 m.
- Ship Lifts enables to build ships on land. Our company is authorized license holder for dry dock. 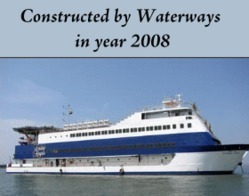 We help our client for booking of dry dock & to achive the dry dock in quick manner. INTERLINKS has been a major service provider to Indian and foreign shipping companies for more than 30 years. Over the years INTERLINKS have built up a reputation as reliable suppliers of quality spare parts at competitive prices to a select and restricted clientele, both in India and abroad.